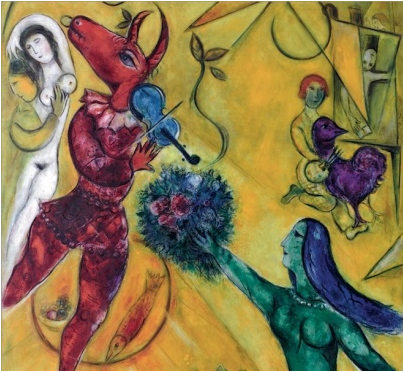 The exhibition, "Between war and Peace", is still running at the Musée du Luxembourg in Paris, and is dedicated to Marc Chagall. Should you happen to be in Paris for the Haute Couture shows. Go see the exhibit which reflects Chagall's very own artistic life experience of war and peace, happiness and sadness. Exhibit runs until 21 July 2013.